You just wrapped up the year with all those glitzy holiday party looks when it hits you: “What am I going to wear into the new year! ?” Fortunately, we’re prepared to do a little fashion fortune-telling and share a peek into some of the top emerging trends of 2019. Here are the top trends for 2019. There’s plenty of newness on the denim scene in the year ahead. Here are the denim details to look for if you want to update your baby blues. Embroidering. If you’re crafty, now’s the time to get out your embroidering needles and flock your favorite jeans with whimsical embroidered detail—or buy jeans with these details like the rest of us. Embellishment & Add-ons. Studs, pearls and yes, even a few rhinestones here and there are making their way back to our favorite jeans. Interesting hems. Denim hems are also getting a little something extra with laces, bows, fringe and slit-openings at the ankle. Straight legs. More relaxed than the resiliently popular skinnies, a straighter leg style will be front and center. Lower rises. And just when you thought denim couldn’t get any higher, it gets low again. Not the super-low-rise of the early 00’s mind you, but a low slung and hip-grazing rise is quickly gaining momentum. Dark rinses. There’s no such thing as too dark when it comes to rinses for 2019, so slip on those ultra deep-hued denim for a polished take on a casual staple. 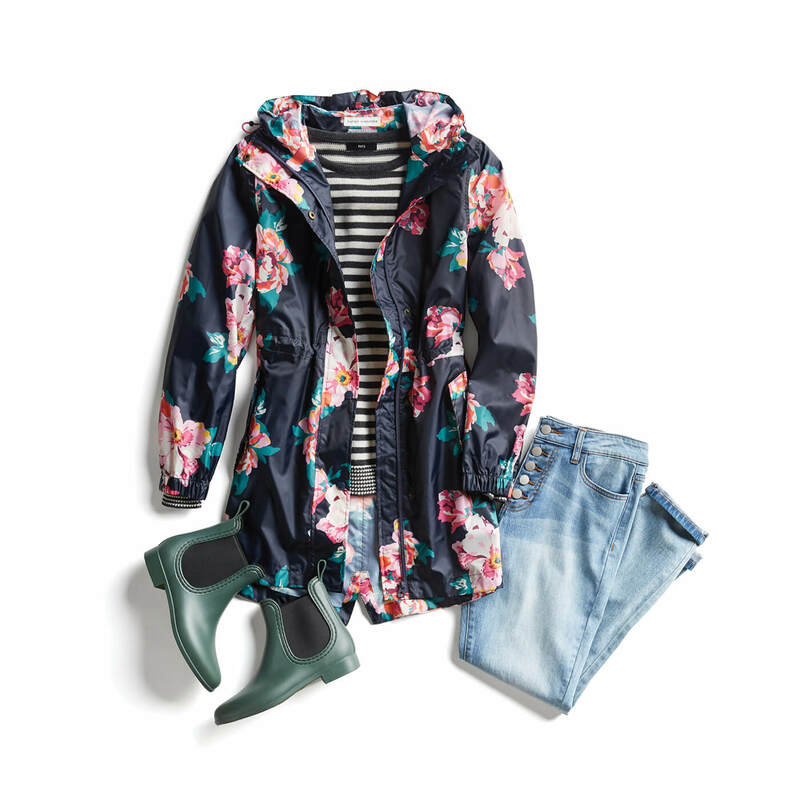 Who doesn’t love being able to go from lounging to running errands with the same versatile wardrobe pieces? Those sleek leggings, tailored joggers, hoodies and other casual staples we’ve come to rely on are stepping up for the new year with even more variations like bright colors and luxe materials (hello cashmere and leather!) 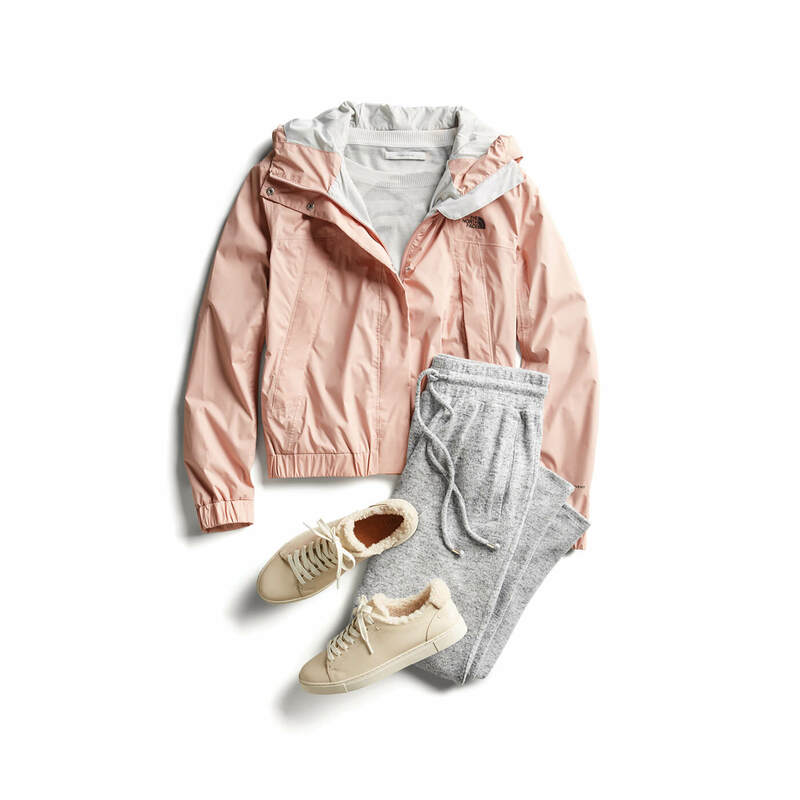 Be sure you’re well-stocked in all the athleisure essentials for style that’s the epitome of easy-going. 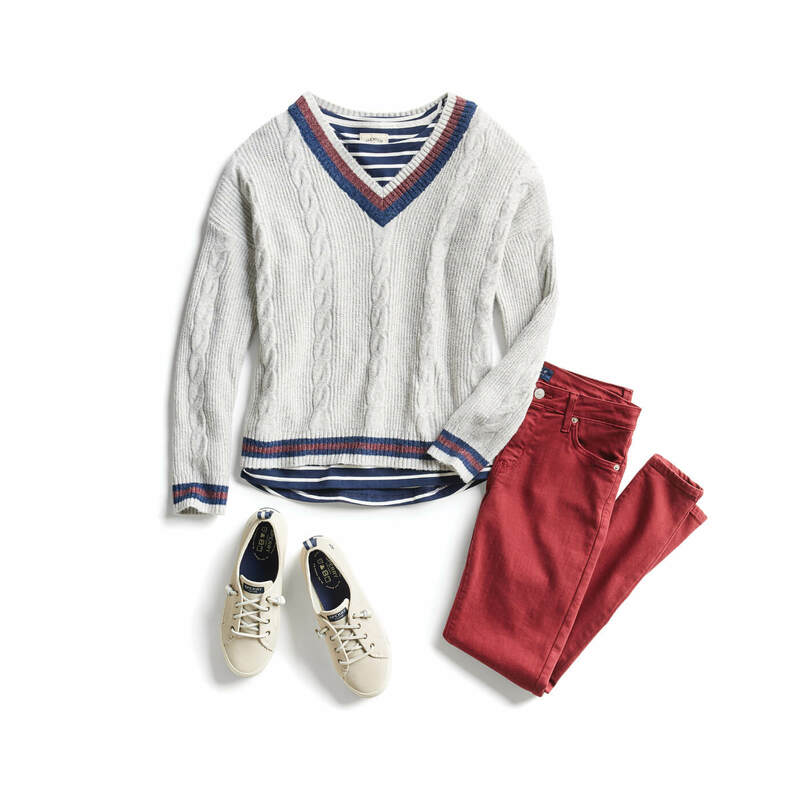 Set sail in a new style direction by adding some nautical flair. This trend is all about bold stripes and charming motifs like anchors on your tops, dresses and tees. Combine with textural elements like a straw clutch or strappy wedges, and you’re ready for a mid-winter vacation to a sunny destination or prepped and ready for warmer months to come. Both in color and weight, sweaters get a lighter take in 2019. Try a cardigan in a soft pastel hue or pull-on a turtleneck that’s a little thinner and more breathable (cotton, viscose, rayon and poly blends will give your skin a breath of fresh air.) 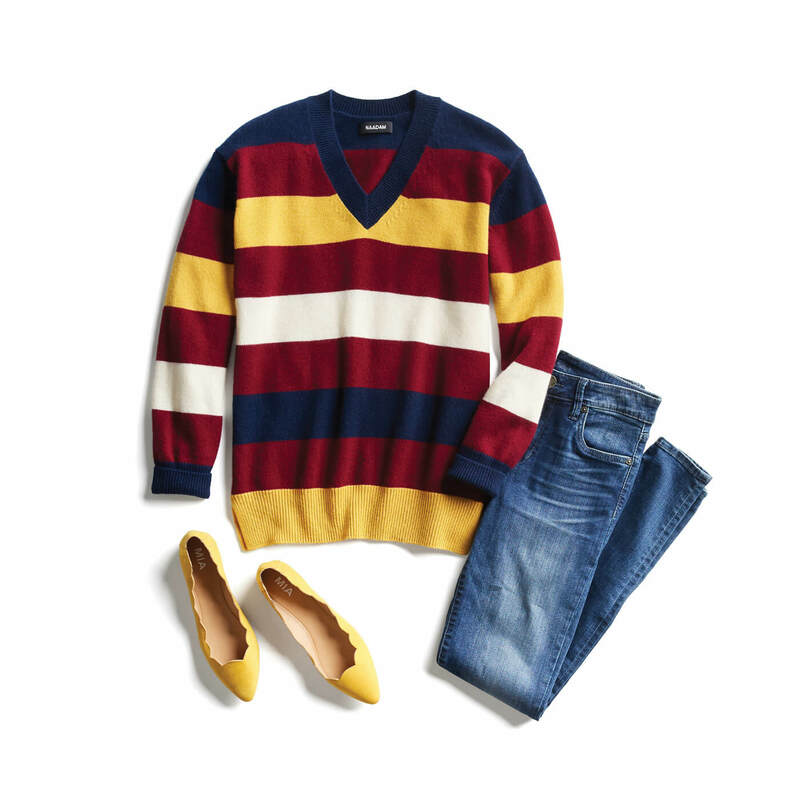 With bright and versatile knits, you can bridge the gap between seasons and banish those dreary winter hues. Black is the new, well, black. Though never out of style, this obsidian hue—particularly ensembles in all-black—has been getting less attention, but 2019 is bringing this unfailingly chic color back front and center. Try an all-black look with your best black skinny jeans and a sweater and add some oomph with a pop-of-print leopard flat and a bold red lip. Stylist Tip: Add even more interest to your all-black look by focusing on note-worthy silhouettes and textures, like dramatic wide-leg trousers or opting for leather leggings or a suede moto jacket. Like black, this shape-savvy silhouette will always be a mainstay, but we’ll be focusing on this staple dress style even more in the year to come. Wraps in various lengths and featuring flouncy floral (including looser kimono wrap styles) prints and rich solid hues are all deserving of our attention. Prepare for 60’s-inspired skirt styles with leg-baring lengths. Contrast their lack of material by juxtaposing your short skirt with long-sleeves, tights and outerwear, and keep your heel height modest for a sophisticated look. If your new year’s resolution was to step up your style game in the coming year, tapping into these trends will have you well on your way to your most fashion-forward year yet. What new trends are you most excited to try in the new year?